Chef’s selection of canapés served on arrival to your guests in Oliver’s Lounge Bar or on the Balcony with a selection of Australian wines, heavy and light beer, soft drink and orange juice. The bridal party have the option of relaxing in their own private suite enjoying drinks and canapés. Your selection of (2) two entrees served alternate style, (2) two main courses served alternate style and (2) desserts, followed by specialty tea buffet, Nespresso coffee and chocolates. A selection of Australian beers & wine and an assortment of soft drinks and juice served over a (4 ½) hour period. Spirits are available from our Bar. Personalise your evening with the availability of the services of a DJ or MC, creating memories that you will have forever. Their services can be booked for an additional fee. Elegant seating, red carpet, floral décor for the signing table and post ceremony refreshments in one of our private and intimate rooms for the Bridal Party. 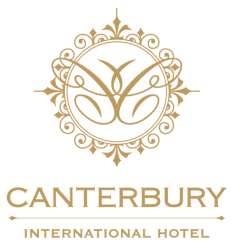 At the Canterbury International Hotel we will ensure your special day perfectly reflects you and your love. Our Wedding co-ordinator and the events team will create a custom wedding package just for you and make your wedding and reception a day that will be remembered by you and your guests for a lifetime. From formal Weddings and receptions to more intimate and relaxed functions, we appreciate that discerning couples trust our skilled staff to create lifelong memories on your special day.